Since the first week of October, India started hostilities in Kashmir along the Line of Control, which continued unabated even during the three days Eid-ul Adha, martyring several Muslims. Traitors within the political and military leadership have provided both opportunity and encouragement to India. Upon American instructions, the regime has refused to answer any Indian aggression in a befitting manner, so that India can made to feel its actual status. Instead, the regime has tried to save face by weakly calling upon India to exercise restraint! The regime's weak response is a slap in the face of the largest and most powerful army in the Muslim World. It is clear that the corrupt regime will never allow an answer to India in a language that she understands. So, the lowly regime expects the officers of the armed forces to place a heavy rock on their Imaan and watch silently as Muslim blood is spilled in rivers. 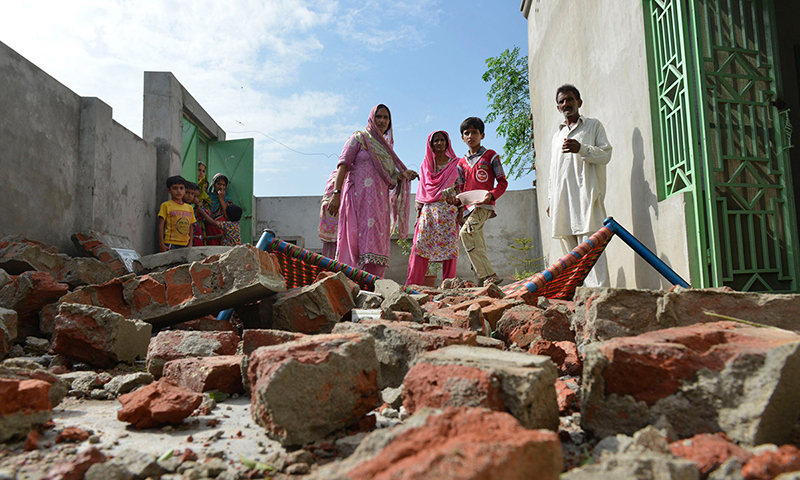 The regime's weak response has encouraged India so much that the Hindus are not worried about escalation on the LoC. Instead, the Defence Minister of India threatened Pakistan of Indian military action! India thus threatened Pakistan, as if the Hindu State were not addressing a nuclear armed Muslim power, but rather a small and weak Banana Republic. O armed forces of Pakistan! Traitors within the political and military leadership are eroding your grace and strength. How do you accept for India to dominate the region, with your strength diminished? Moreover, the regime works so that your power is only used for American interests against those who wage Jihad against American and Indian occupation in Afghanistan and Kashmir respectively. How do accept that India kills those people that you have sworn to protect before Allah (swt), Al-Qawwi, Al-Azeez? Do you wish to be presented in front of your Sustainer, Allah swt, with your necks bowed down with shame? Sincere officers of the armed forces! Come forwards and save yourselves and your Ummah from humiliation at the hands of America and India. Grant the Nussrah for the establishment of Khilafah, as there is glory for you and your people in its establishment. And then the Khalifah will order the magnificent armed forces of the Muslims to liberate Kashmir and Afghanistan from the filth of the occupying kuffaar forces.